Caraselle Direct – Home Accessories Products Moisture absorber to reduce condensation. now you can buy online available. There are various measures you can take to reducing condensation, including ventilating your house, especially when drying clothes or after a bath (just opening a window and closing the door is good). Plus removing condensation will also help to avoid any accompanying mold – wiping window frames regularly can help keep this at bay. What else can you do? Well another effective solution is to use moisture absorbers. 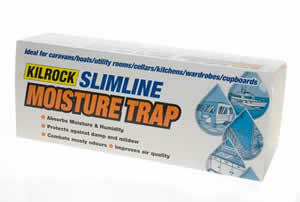 The Kilrock Slimline Moisture Trap is a high airflow moisture absorber, with excellent absorption rates. It helps to prevent damp & mildew damage to walls & fabrics by absorbing moisture & humidity. Both reusable & refillable, it works immediately. Suitable for all rooms and no electricity or batteries required! 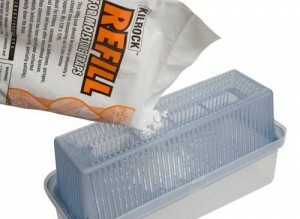 It has an easy fill top and no spill sides. With a refill indicator it’s easy to ensure you don’t forget when it needs refilling. 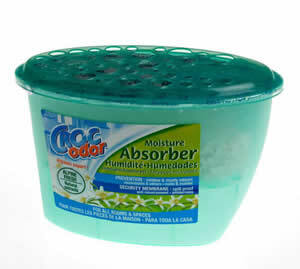 Croc Odor Moisture Absorber is great for small rooms and spaces. Being completely spill proof makes it perfect when you need to use it near pets or children. Don’t forget to keep mold at bay too by wiping any moisture that has formed on the windows with an absorbent cloth. Simple solutions to these problems many of us are currently experiencing!